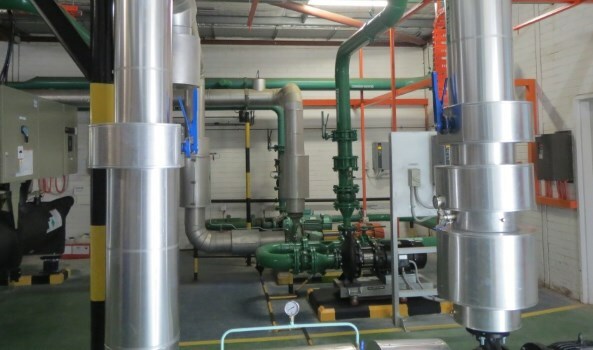 Initial investigation into the performance characteristics and piping arrangement of the existing chiller plant and its electrical power supply to determine if an additional chiller could be provided to operate in lead / lag or duty / standby operation. The investigation found that the power supply excluded lead / lag operation unless extensive upgrade of the power supply was undertaken. A new 500 kW water cooled chiller and cooling tower was installed and commissioned to operate as duty chiller, with the older chiller on standby.